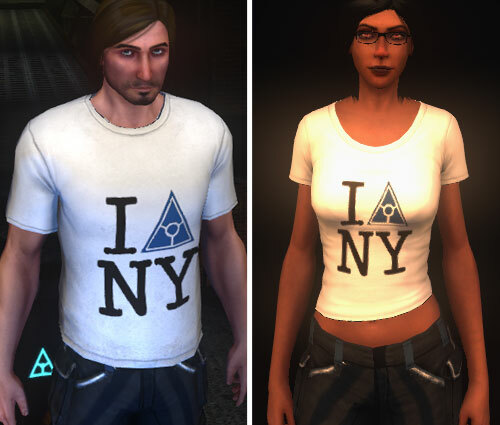 Faction clothing rewarded by the Secret War Facebook Game event from pre-launch. Pieces include Dragon Cap, Dragon Jacket, Dragon Pants and Dragon T-Shirt. 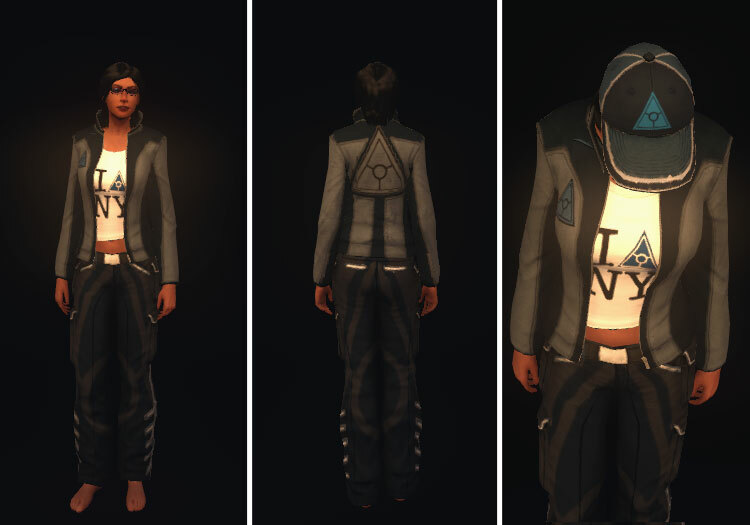 The pants, t-shirt and cap are no longer available, but the jacket is included in the Initiate pack. Thank you Keter for the screenshots! Faction clothing rewarded by the Secret War Facebook Game event from pre-launch. 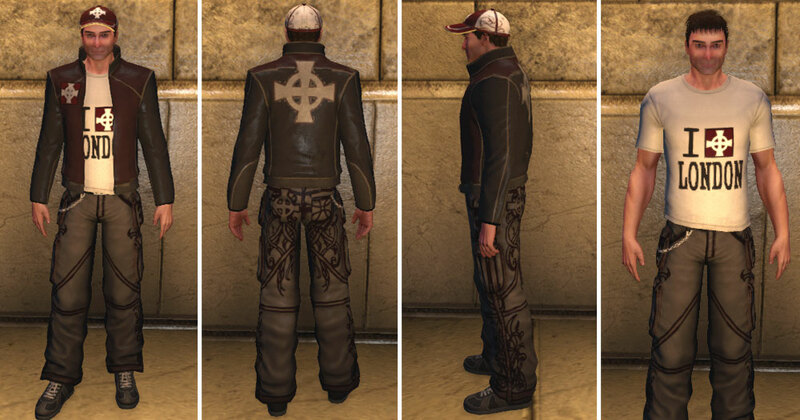 Pieces include Templar Cap, Templar Jacket, Templar Pants and Templar T-Shirt. 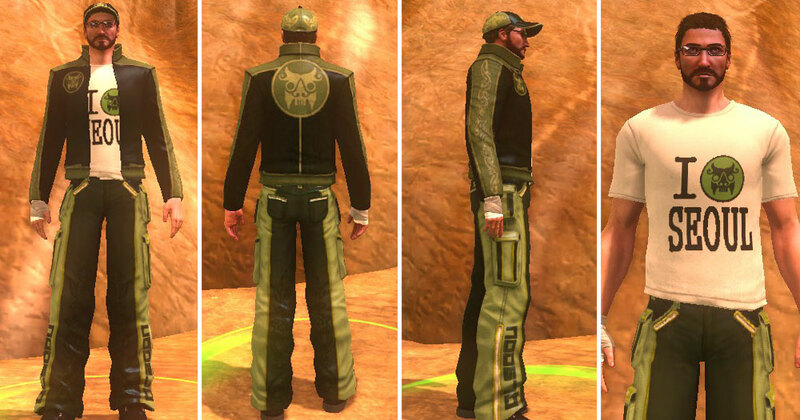 The cap and t-shirt are no longer available, but the jacket is included in the Initiate pack and similar pants are available for men and women from Pangaea. Faction clothing rewarded by the Secret War Facebook Game event from pre-launch. 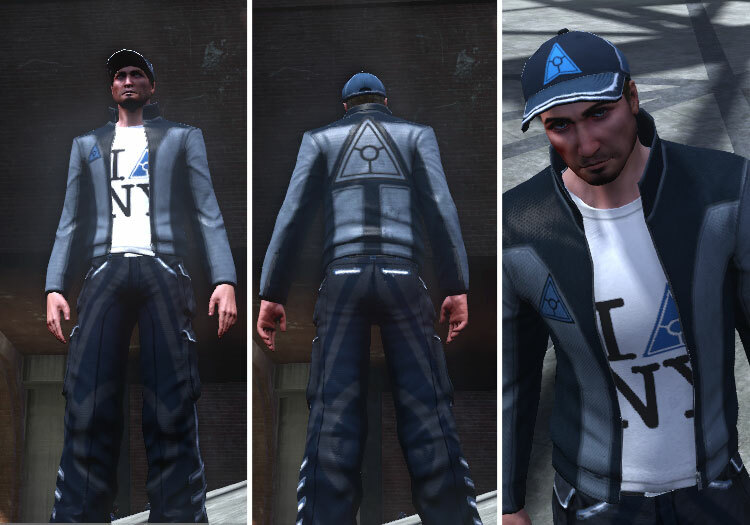 Pieces include Illuminati Cap, Illuminati Jacket, Illuminati Pants and Illuminati T-Shirt. 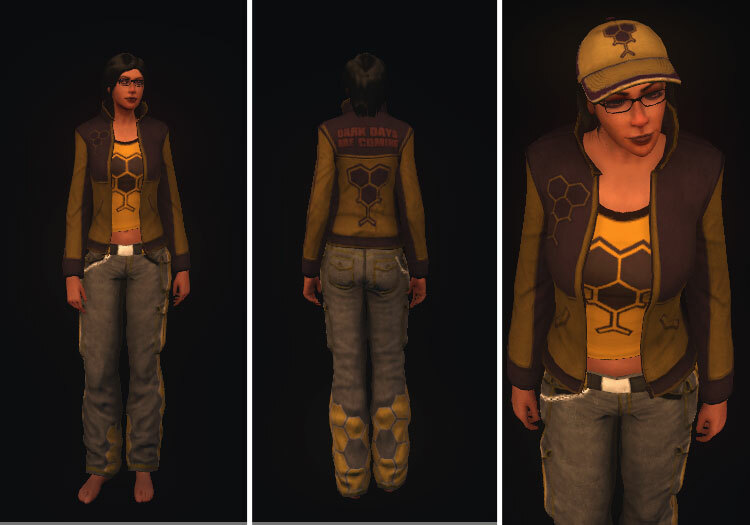 Most items are no longer available, but the jacket is included in the Initiate pack. Neutral faction (Bee-Faction?) 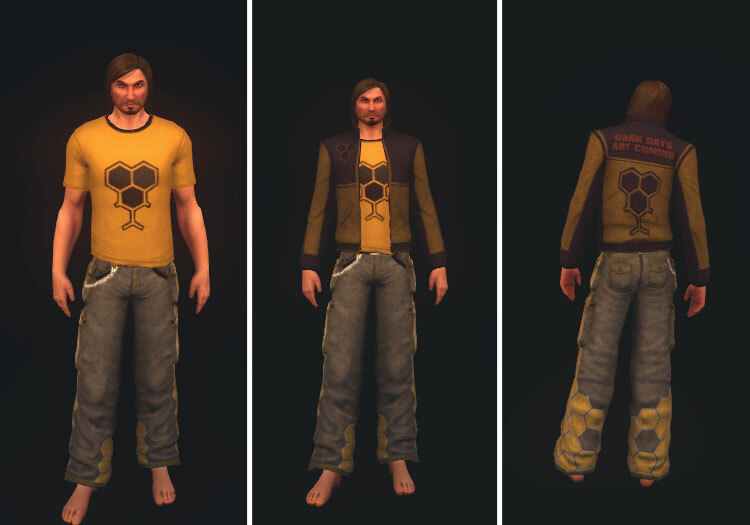 clothing rewarded by the Secret War Facebook Game event from pre-launch. Pieces include Neutral Cap, Neutral Jacket, Neutral Pants and Neutral T-Shirt. Unfortunately this set is no longer attainable.